September 1988 witnessed a musical revolution in The Netherlands with the breakthrough of dance music and everything that event led to. Dutch electronic dance music became a huge worldwide success. Now, exactly thirty years later, the book Dutch Dance by Mark van Bergen sees the light of day. I have experienced all of those thirty years. I have seen how a select group of individuals set out to change the world with a new Summer of Love (an Autumn of Love actually), I have seen the first obscure parties and small festivals grow into a gigantic export product, and I have seen an industry develop with a turnover of hundreds of millions. Over the years, I have been interviewed about the early days more times than I can remember. I have recounted how audiences would sit down in protest or hurl beer glasses at my head on account of the monotonous, meaningless din. Time and again I explained how I would dream of venues filled with a thousand fans going wild for that futuristic dance music. And I never dared to dream that it would get so big. Mark questioned me exhaustively and presented me with numerous texts that I had to check for factual accuracy. Should he not hear anything more from me, he was to stalk me, I said. Ultimately, it was his inexhaustible enthusiasm and passion that won me over. Mark is the most dedicated journalist I have ever met. He has such tenacity. He is like a pitbull, so driven is he by his passion for dance music and culture. And let’s face it, for one man to write the story of dance music in The Netherlands and to fit that into a book of hundreds of pages, is a heroic deed. This man deserves a medal. At the very least, his book ought to be read and enjoyed by many. We are celebrating 30 Years of Dutch Dance with the release of Dutch Dance: how The Netherlands took the lead in Electronic Music Culture. 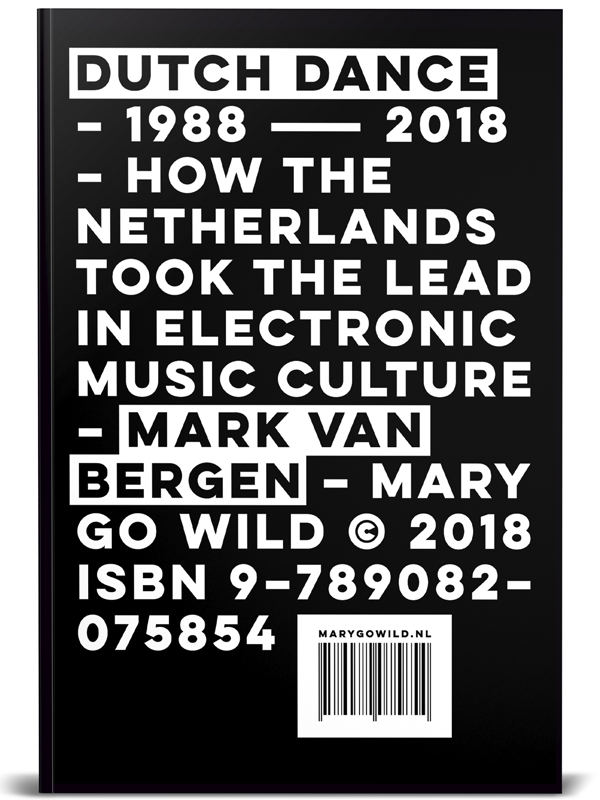 Pre-order the first and most complete English language history of the rise and growth of the world dominating Dutch electronic dance music industry and culture. The growth of the mighty Dutch dance culture has been nothing short of miraculous. In 1988, Dutch DJs generally afforded little attention, and were written off in the media as the bearers of a terrifying ‘nothingness’. House music was dismissed as empty music, meaningless music wholly ‘without content’. After 30 years, the media seem to have taken Dutch dance music to their hearts, but it’s a case of too little, too late. A history of the genre in an international context, narrating the journey from the first pioneers to the current world stars, and taking in both mellow and hard Dutch styles, hasn’t yet been written. This book takes up that challenge, covering the decades from the 80s to the present, and featuring interviews with the key players from then and now: DJs and producers, both Dutch and international, organizers, and academics. From squatted warehouses to worldwide popularity: VPRO present a three-fold documentary on the history of 30 Years of Dutch Dance, in collaboration with Mary Go Wild. To be premiered during Amsterdam Dance Event 2018. Broadcast on Dutch national public television on Saturday 20. October, Saturday 27. October, and Saturday 3. November at 10.55 pm on NPO3. The three-fold documentary 30 Years of Dutch Dance investigates three decades of electronic dance music culture in The Netherlands. The series is swirling like an adventure book, packed with tasty anecdotes, and a visual feast. With eyewitness reports and rare footage from our archives. 30 Years of Dutch Dance is a first-hand account by the main characters from our rich Dutch dance history. 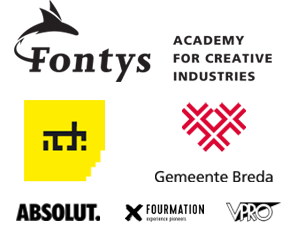 Featuring pioneers such as Eddy de Clercq, Joost van Bellen and Paul Elstak to some of the most successful entrepreneurs like Duncan Stutterheim (ID&T) and Wouter Tavecchio (Q Dance). And from the keepers of the underground culture to the megastars that rose after the turn of the millennium, like Armin van Buuren, Ferry Corsten and Hardwell. Get ready for an epic journey through the global revolution of dance. Symphony is a once in a lifetime experience where Hardwell and the Metropole Orkest take you on a trip through the history of dance music. Symphony is a special all-ages concert where we travel from dance music of the late ‘80s till the mega hits of today. To celebrate 30 Years of Dutch Dance, our man Hardwell compiled The Global Revolution of Dance Playlist: three decades of electronic dance music that has inspired Hardwell during his journey to become one of the world’s greatest Dutch DJ’s. Hardwell will give a unique concert with the Metropole Orchestra in Ziggo Dome, Amsterdam. During Symphony: The Global Revolution of Dance, the world-famous dj, together with the world’s leading pop & jazz orchestra led by Jules Buckley, takes the audience on a musical journey through the history of dance music. An all ages concert that starts with the rise of dance music in the 80’s and ends at the mega clubs of today. The spectacular show of the legendary DJ and the Metropole Orchestra is characterized by the composition of different music periods, from the 80s to the present. Hits from various world stars pass by, from Donna Summer to Tiësto, from Carl Cox to Daft Punk. “With this show a dream comes true. Together with the Metropole Orchestra, which is the most versatile orchestra in the world, I have created something special in which the audience can not only enjoy a musical spectacle, but also visually see something unprecedented,” says Hardwell.